The U.S. Patent and Trademark Office has granted Finland’s Herantis Pharma a patent covering the use of mesencephalic astrocyte-derived neurotrophic factor (MANF) to treat Parkinson’s disease and other neurological illnesses. The patent is related to a genetic sequence encoding MANF. Molecules such as MANF nucleic acids and MANF polypeptides, can be used to develop therapeutic and diagnostic tools to prevent or treat MANF-dependent conditions. The patent also covers a kit and reagents to diagnose MANF-dependent disorders in mammals. The reagent detects the presence or absence of a mutation in the DNA sequence encoding MANF as well as elevated or decreased levels of MANF polypeptide or MANF antibodies, indicating a MANF-dependent disorder. Cerebral dopamine neurotrophic factor (CDNF) is an endoplasmic reticulum-located and secreted protein that is neuroprotective and neurorestorative. In preclinical studies, CDNF has been shown to be safe. Both CDNF and MANF form a new family of neurotrophic factors (NTFs), distinct from conventional NTFs. They have neurotrophic activity, and are thought to protect cells from endoplasmic reticulum stress, a condition linked to certain neurodegenerative diseases. CDNF has potential to treat not only Parkinson’s but also epilepsy and amyotrophic lateral sclerosis (ALS), says Herantis. The latest MANF patent, like the CDNF patents previously granted to Herantis, are based on scientific research led by professor Mart Saarma at the University of Helsinki’s Institute of Biotechnology. Herantis has already won Swedish permission to initiate a first-in-human clinical trial using CDNF in Parkinson’s. 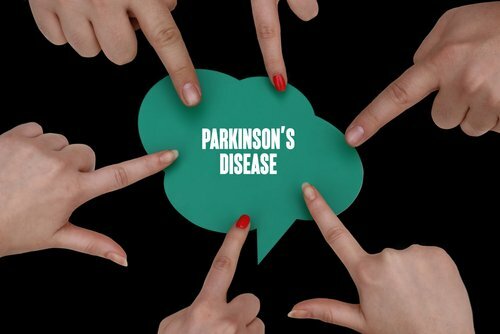 The trial aims to recruit 18 Parkinson’s patients, with the goal of developing a more effective therapeutic agent than is currently on the market. Tagged CDNF, Herantis Pharma, MANF, Parkinson's disease, patent, United States Patent and Trademark Office. Thank you so much for this wonderful article. My dad is in a very advance Parkinson’s dicease stage. I wonder how we could access to different trials . We are in Canada not USA. I am his only daughter and it is hard to see a family suffering day by day with this decease.